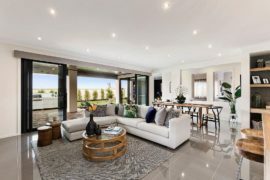 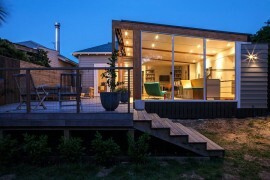 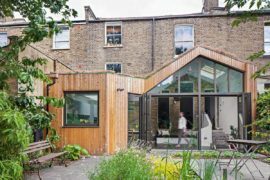 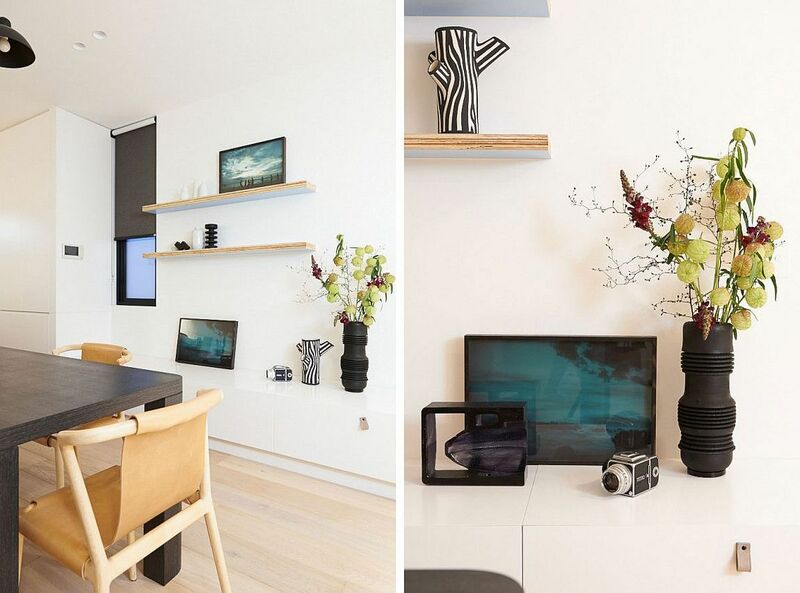 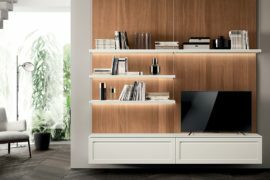 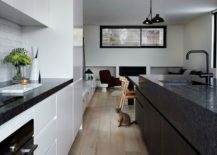 The last few years have seen home makeovers shift from large-scale remodels to smart additions, extensions and nifty revamps that simply extend the living area and add a kitchen or bedroom wherever necessary. 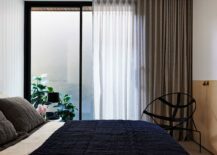 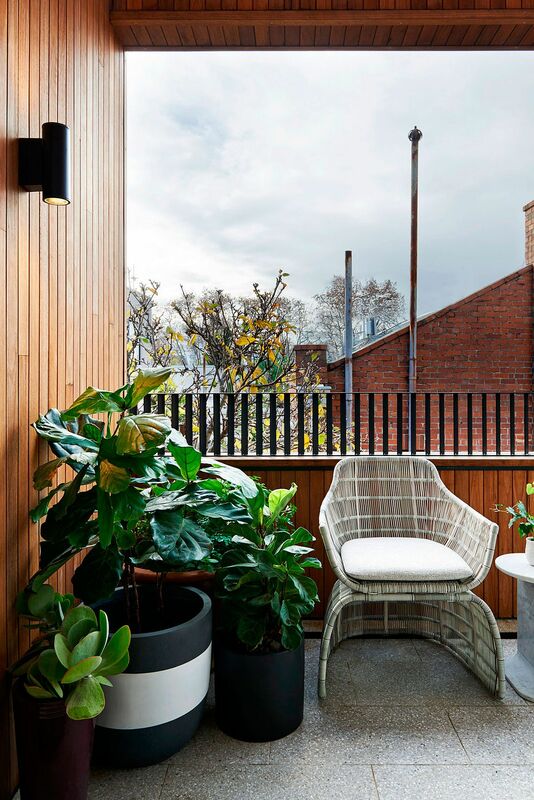 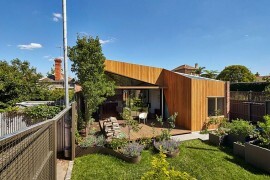 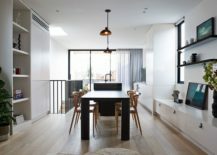 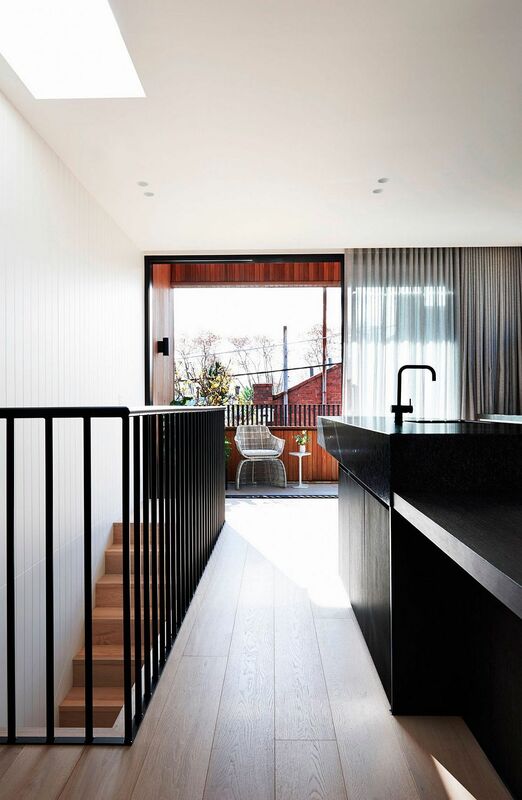 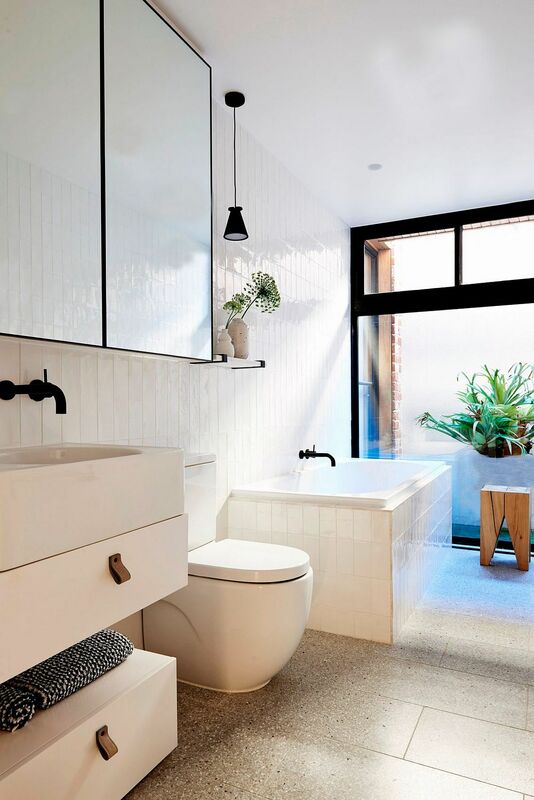 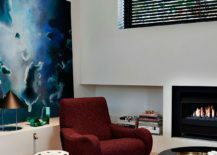 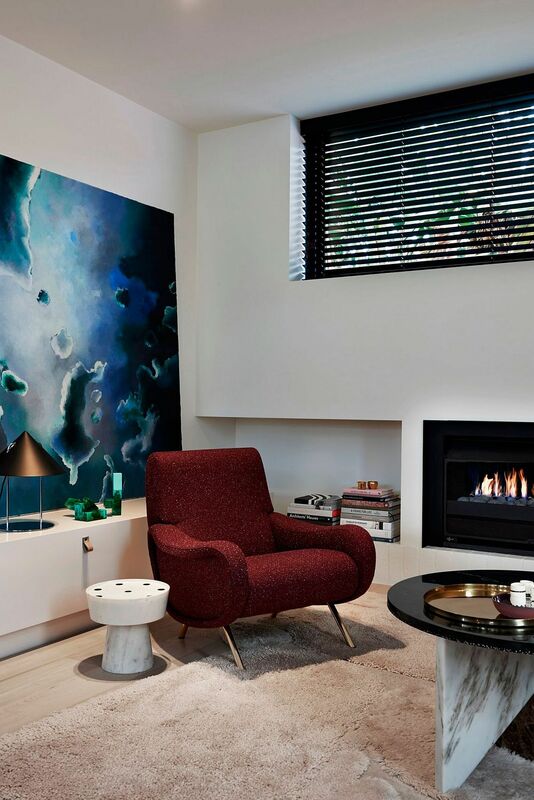 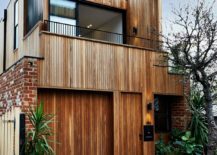 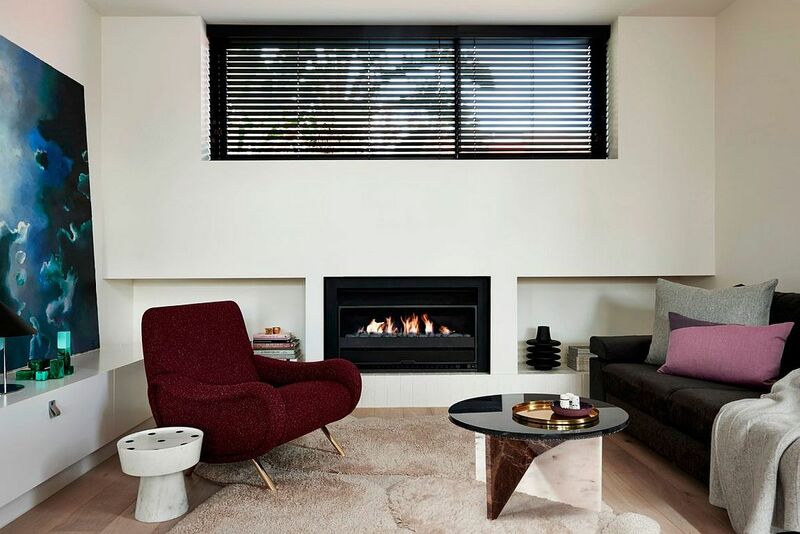 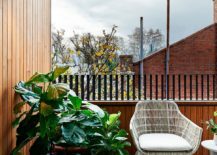 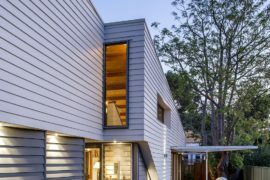 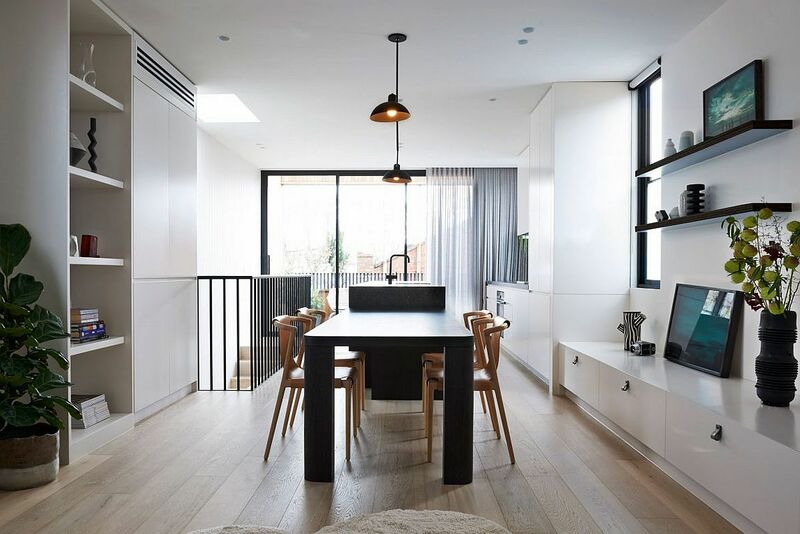 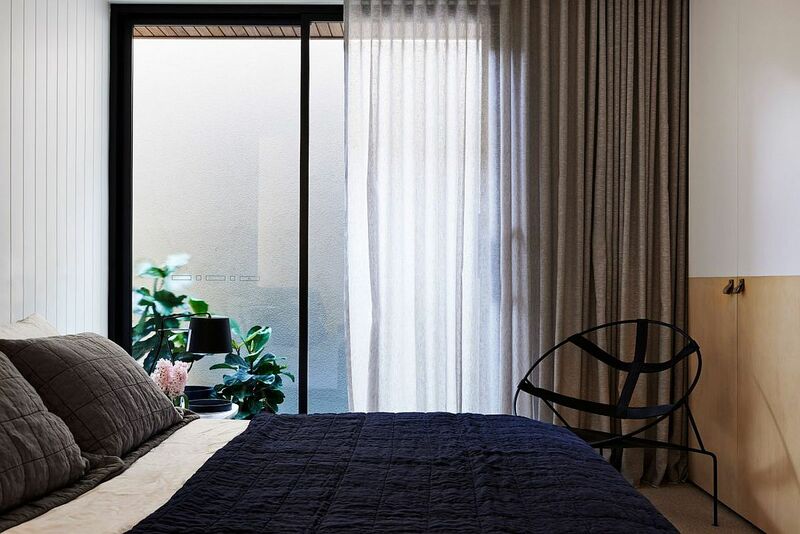 But the lovely Y Residence in Prahran, a typical suburb of Melbourne, goes down the old-fashioned route, as Studio Tate completely altered the existing appeal of the home, its ambiance and the way it interacts with its residents. 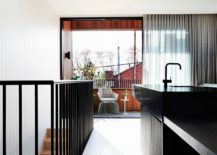 Barring a couple of brick walls, the entire house is brand new, and its novel floor plan sees the living area, kitchen and dining area nestled on the top floor while the bedrooms sit snugly below. 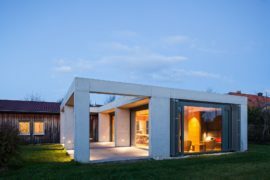 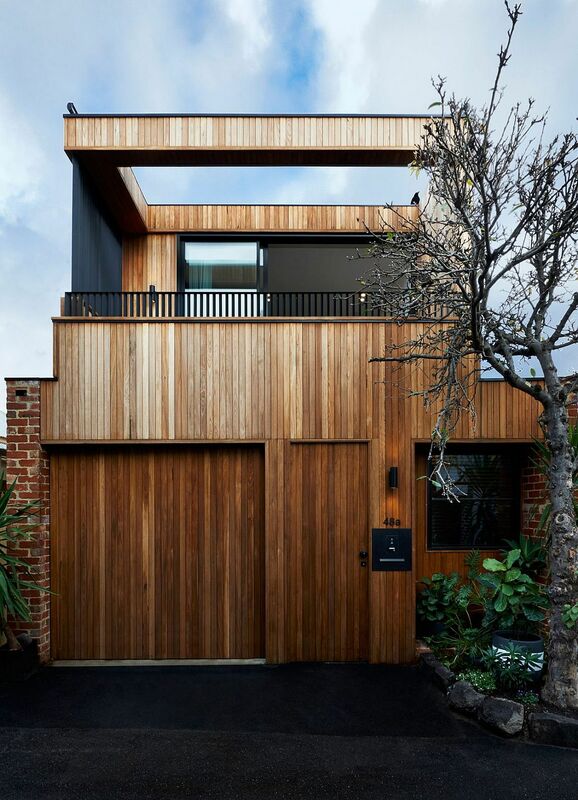 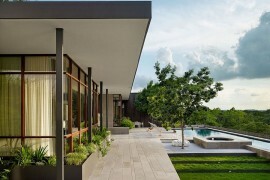 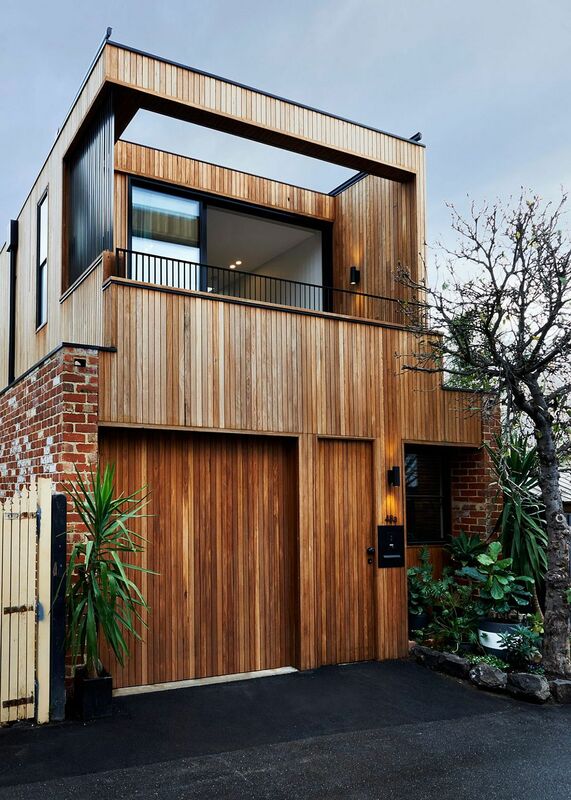 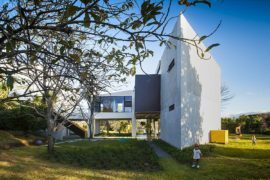 An extensive timber façade gives the house a distinct identity and sets it apart from its neighbors, even as the interior is draped in a relaxing, neutral color palette. 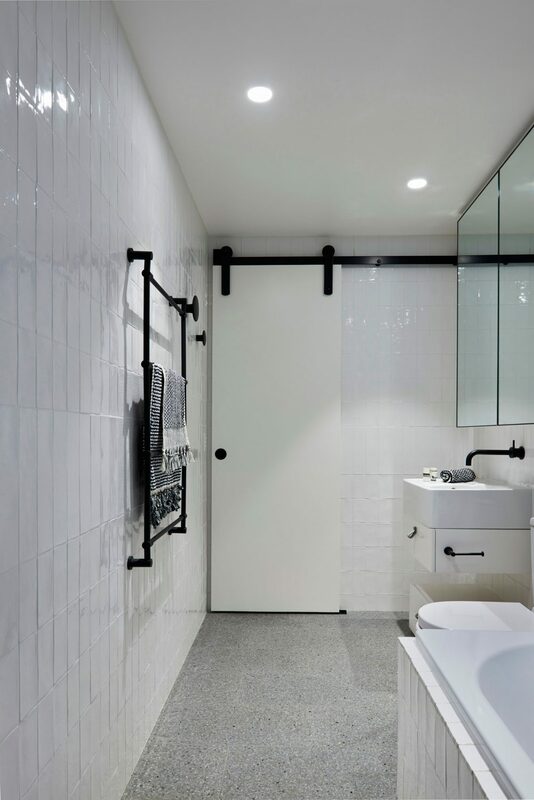 The contrast is stark yet stylish, as one is transported into a sophisticated and ergonomic living environment where space is utilized to the hilt. 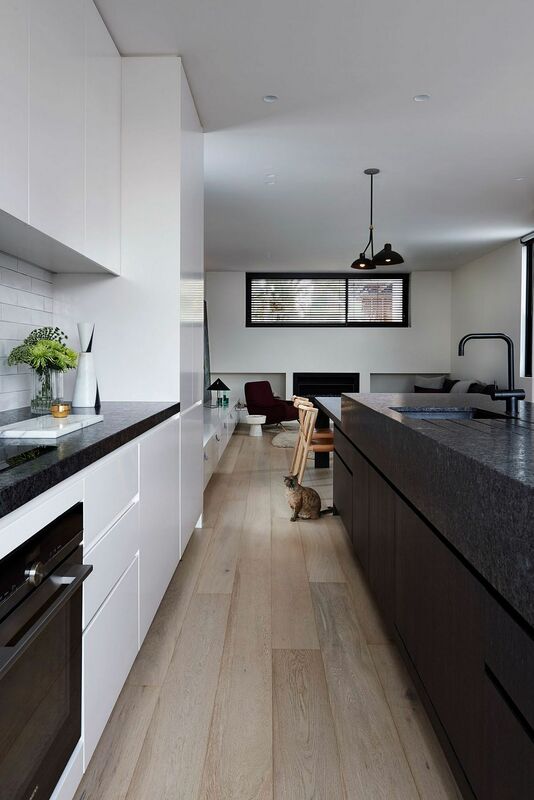 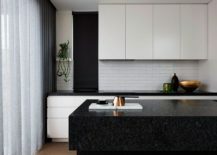 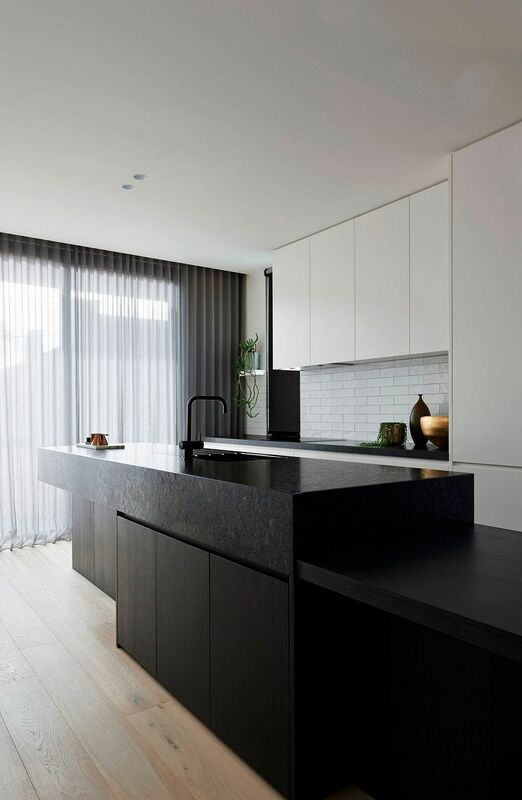 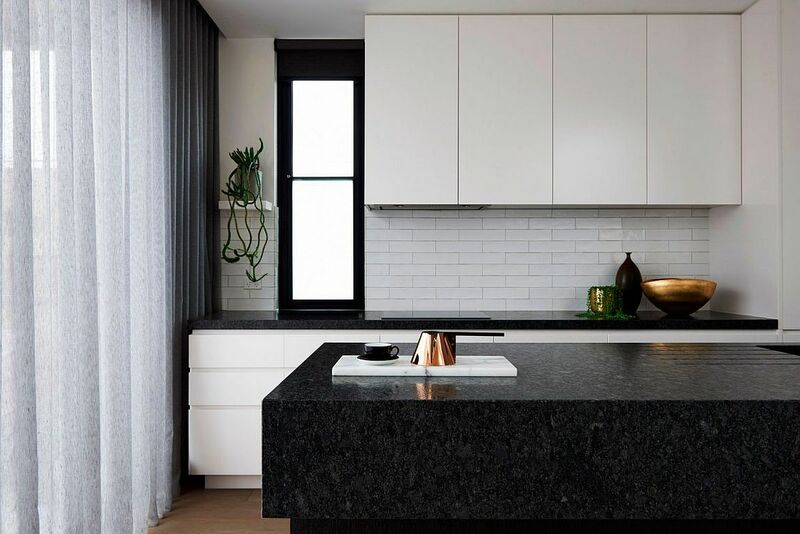 A black and white kitchen with stone island and countertops occupies a corner on the top floor, with a small living area and dining space situated next to it. A slim, contemporary fireplace and a cozy reading nook complete this living zone that also overlooks the entrance below. 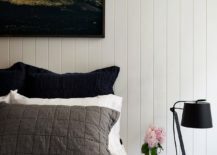 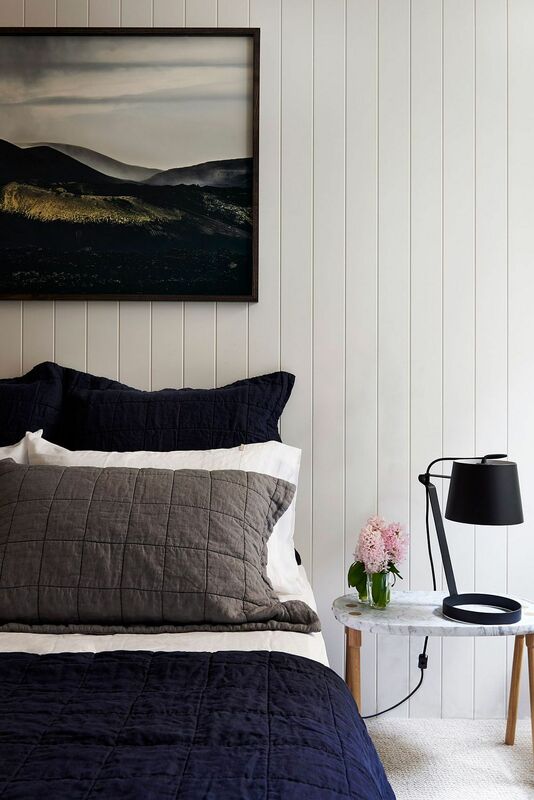 With a spacious master suite also embracing a black and white color palette, a gorgeous guest room that doubles as a home library, and a kids’ room with a space-savvy loft bed, this is an urban residence that perfectly blends form, function and inviting warmth.